Ian Holmes must really love his Soreen Malt Loaf because the 44 year old has now won this event consecutively since 1996, just ask Graham Pearce and the other 297 runners who chased him round the Splash course. 29 year old Graham Pearce did give Ian a tremendous tussle but Graham runner up last year was yet again foiled in his quest to wrestle the Soreen crown from Ian Holmes. Electrician, Paul Crabtree would love to get his hands on the first local trophy but was thwarted yet again, this time by his own making: Christian Holmes 'I have to thank Paul for all his help, his training has brought me on tremendously and you could say he has trained me to win the locals trophy'. 25 year old Helen Glover won the race for the third time, she had far too much pace for Karen Pickles the second lady home, whilst in third was Anne Johnson of Calder Valley. Ilkley ladies won the team prize for the third year running with Graham Pearce's wife, Kay, fifth, Alison Eagle, sixth and Kate Archer, eleventh. Lots of runners have personal goals, but for one young lady the Soreen race was extra special, Lyn Eden had last year set a target of competing in 65 races to mark her 65th birthday, the Soreen event was the culmination of this. At the finish she was greeted by well wishers and fellow Ilkley Harrier team mates with champagne, flowers and banners, and at the prize presentation received more champagne from Ilkley Harriers, a big cake, plus an almighty cheer from the runners in the Old Sun Hotel. The junior 'Chew it then do it' Soreen races remain as popular as ever with 139 competing. The winner of the U8's race running for Huddersfield Grammar School was George Hobbs, with Ruby Schofield the Girls' winner. Congratulations to Zac Howe – U16, Lewis Byram – U14, Seth Waterman – U12, Matthew Crorken – U10, Pippa Barrett – GU16, Harmonie Waterman – GU14, Phoebe Howe – GU12 and Gemma Johnson – GU10, the category winners. As well as the first three in each age group getting prizes off the table they also received a new 'Fruity Five' delicious sliced fruit loaf , before the air was full of Soreen Go bars, Snack Packs and chocolate thrown out by Soreen girl, Sarah Louise Heslop, there ends another successful set of Junior Quarry Runs. A big thank you to Soreen for their enthusiastic support of these events. Sunday 24th Jan 2010. FRA Category BM race. Starts 11.30 a.m. 7m/1200' from Penistone Hill Country Park, nr Haworth, Keighley, W.Yorks. (GR 025364). £3.50. Teams (3) free. PM. Over 18. Records: 41.53 I.Holmes 2006; f. 49.01 N. White 2006. 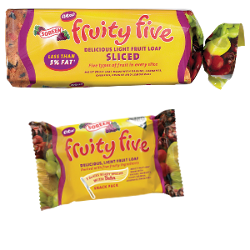 All finishers will receive a Soreen malt loaf, and there's a Mountain of Malty Treats to give away including Soreen's new Fruity Five loaves and snack packs, and the ever-popular Go Bars! Plus Free coffee and biscuits. SOREEN JUNIOR QUARRY RUNS (R). CS. 10.30 a.m. from Penistone Hill Country Park, near Haworth, Keighley, W.Yorks. (GR 025364). £1. PM. U8 (over 6), 0.5m/100'; U10/U12/U14, 1m/150'; U16, 2m/300'. Records: U8 2.53 M. Crorken 2009; f. 2.47 L. McGuinness 2006: U10 7.12 P. Done 2007; f. 7.46 A. Parkinson 2007: U12 6.15 R. Addison 2005; f. 7.22 R. Hellawell 2006: U14 6.05 N. Gould 2005; f. 6.44 C. Robertson 2007: U16 11.31 T. Sessford 2007; f. 13.35 A. Wheatman 2004. All finishers receive a "Soreen Malt Loaf Goody Bag", including a Soreen snack loaf, Curly Wurly, Walkers Crisps, Soreen Race Certificate, Fizz Whizz popping candy, Tongue Painter lolly, and a Flumps! Free coffee and biscuits for parents. and a Prize Draw for all juniors, with great prizes including a set of inflatable football goals!.